beginning use of saws, rasps, gouges, etc. Michelle grew up in the Rogue Valley, graduating as Artist-of-the-Year from North Medford High School. 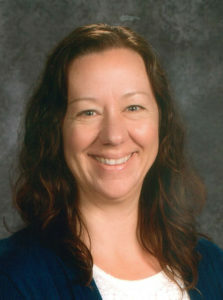 She then went on to study at SOU, earning a Bachelor’s of Science in Fine Arts and then a Masters of Arts in Teaching. She has found her purpose and joy in trying to return the gift of a creative and inspiring education. She worked as a high school art teacher for a few years and then took time away from teaching to parent her three daughters. In 2014 she moved to Egypt with her family and had an amazing year living and teaching in Cairo. Living in a Muslim society gave her a greater appreciation for diversity and an understanding for the challenges of being a minority. She returned to Southern Oregon with a new sense of gratitude for the place she came from and is delighted to be incorporating more lessons from world cultures into her curriculum. After teaching 4th, 5th and 6th grades at a traditional elementary in Medford for the past three years, she excited to be working in a school community where students are taught more holistically. From her experience as a student and a teacher, she believes that the best education honors individual development and growth in a caring and inspiring environment.